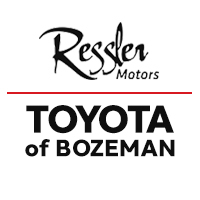 Restrictions apply, see Toyota dealer for details. OEM, OEA and WIN tires only. Tires must be dealer installed. Three tires at regular price, fourth tire for one dollar. Fourth tire must be of equal or lesser value. Excludes mounting and balance, sales tax, shop supplies, tire disposal, and other applicable taxes. Cannot be combined with any other coupon or advertised special. Excludes previous purchases. Toyota vehicles only. Offer only available at participating dealers 3/15/19 – 5/15/19.